Qantas is reducing the free mileage allowance for business class and first class chauffeur drive service on its London flights, although many passengers won't even notice. The current 70 mile (112km) complimentary distance from London Heathrow Airport will be reduced to 50 miles (80km) as of March 1. 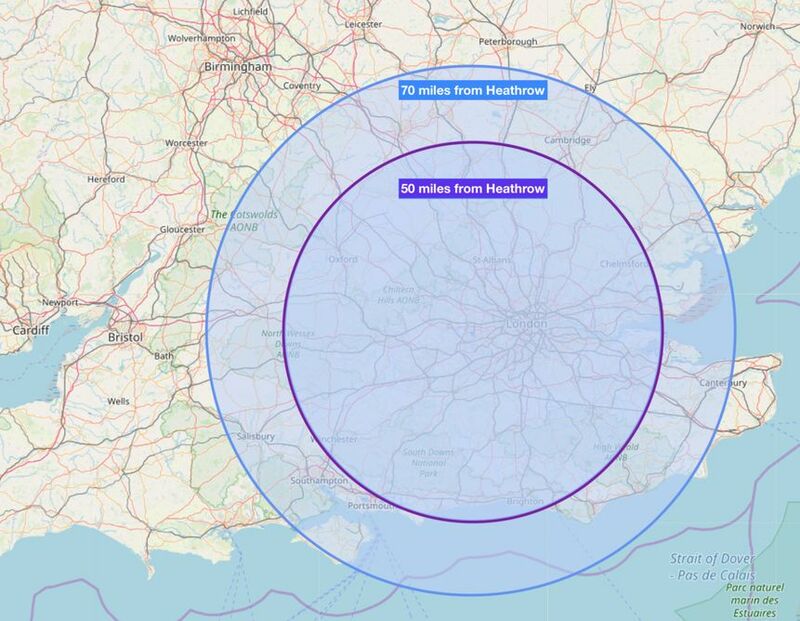 This map below compares the radii for 70 miles and 50 miles, centred on Heathrow. A 50 mile free ride is still fairly generous, although passengers headed to the likes of Cambridge and Southampton – which fall within the current complimentary 70 mile zone – will now have to pay extra. Chauffeur Drive trips which extend beyond the 50 mile radius will be charged an 'excess mileage' fee of £24.30 (A$44) per 10 miles; in the case of Cambridge, that'll mean a near-£50 top-up. A Qantas spokesman told Australian Business Traveller that the changes are being made "due to low take-up in some markets." The Chauffeur Drive shake-up also axes the chauffeur service at Singapore and New Zealand for Qantas passengers jetting to those countries from London. While they'll still be eligible for Chauffeur Drive to and from Heathrow, there won't be a car waiting at the other end of the journey unless they have booked it themselves. Qantas says it "will honour all existing Chauffeur Drive bookings made on/before 1 March 2019 for travel up until 1 March 2020". 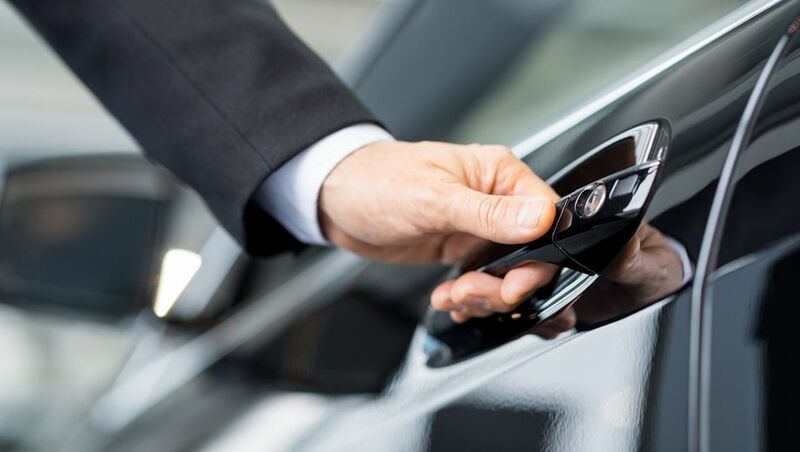 As previously reported by Australian Business Traveller, the free Chauffeur Drive service remains available to bookings made using frequent flyer points, in contrast to a recent decision by partner Emirates to restrict chauffeur rides to paying customers. Qantas introduced its chauffeur service in April 2013 to match the same offering from Emirates as part of the newly-minted Qantas/Emirates alliance, with a free ride originally offered to premium cabin customers bound for London, Dubai and the USA. However, over subsequent years this has been scaled back to include only the London route. Relatively few international airlines offer a complimentary chauffeur service. While Emirates set the benchmark, competitor Etihad Airways scrapped its own service in July 2017. I really didn't know there was a 70 mile limit. I guess most passengers would be heading into London. On the bright side the new limit will still get you comfortably to Brighton! Why not just give eligible passengers free 1st class rail tickets? Train connections from Heathrow aren't as easy as you might think, often requiring connections, aren't great for central London, and many services don't even have first class. I think that's actually a pretty good idea for the Heathrow Express although first class would be a bit over the top, unless maybe business class passengers get a standard ticket and first class passengers get a first class ticket. Anyway, I find the early morning arrival of the Qantas flights lands me in peak hour traffic if I'm headed towards London with chauffeur drive so I always take the Heathrow Express. I suppose Qantas could offer passengers a choice between chauffeur drive and a HEX return ticket. Obviously most people are not going to Paddington as their end-destination but it would be good for Qantas to get passengers to Paddington on HEX and from there they could catch a taxi or Uber or a tube or suburban or regional GWR train to their final destination. 1) I assume this is for reward ticket marketed by Qantas. But does it only cover flights operated by QF, or does it also cover QF rewards tickets operated by EK? 2) QF's rewards tickets flying on EK metal did have complimentary chauffeur-drive (r.g. I have a flight to Germany on EK in F, in April). Has there been any changes to complimentary chauffeur-drive to other cities besides London? 3) Reflecting on the wording on QF announcement, I have a suspicion QF is positioning to axe the chauffeur-drive altogether in March 2020. Your thoughts? 1. The article above is covering flights operated by QF (both reward and cash). QF reward tickets operated by EK will lose chauffer drive on all routes come 1 March 2019 (covered in a different AUSBT article). 2. Similar to above... any QF reward bookings on flights operated by EK lose it on 1 March (for all cities not just London). 3. Probably not... you're just looking into it a little too much. Instead of scrapping it for all tickets on a certain date, Qantas is instead allowing those with a ticket that has been ticketed before 1 March 2019 to use the service up until the ticket validity (up to 365 days) which could be 1 March 2020. Dear [hossein_au],Emirates has made some changes to its Chauffeur Drive policy and we wanted to update you before your upcoming flight. 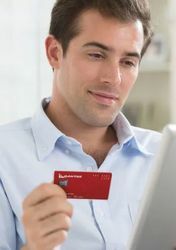 From 1 March 2019, Qantas Frequent Flyers booked on a Classic Flight Reward ticket in First or Business for a flight operated by Emirates will no longer be eligible for the Chauffeur Drive service. There are no changes to Classic Flight Reward bookings on Qantas services. Qantas Frequent Flyers with a Classic Flight Reward booking will continue to be able to book Chauffeur Drive on eligible Qantas services. Qantas will honour all existing Chauffeur Drive bookings with Emirates made on or before 1 March 2019 for travel on an Emirates operated flight up until 1 March 2020. If you have not booked your Chauffeur Drive service and are travelling on an Emirates flight before 1 March 2020, you can still book your complimentary Chauffeur Drive before 1 March 2019 through Manage Your Booking. This is inline with your point 3, but is different from your points 1 and 2 it seems. My points (1 & 2) were talking about reward tickets. Reward tickets lose EK chauffeur drive. If you've used points but have a QF flight number (operated by EK) then you don't have a reward ticket - you have a cash ticket and have used points as a form of payment (at a poor value however). You are correct. Thank you for the link. Surprisingly moderate response in the comments section! Chauffeur drive has always struck me as very nice to have, but a very high direct cost to the airline. Not surprising that so few airlines offer it. I guess we are all too desensitised to "enhancements". It was great whilst it lasted. Use to get me a stress free transfer to Canterbury every time. That's annoying - LHR to RAF Fairford is 60 miles radius, so now have to pay for the last 10 miles. Although some drivers argue the toss anyway given 80 road miles. GBP 24 per 10 miles is a bit steep, but I guess that's used as a disincentive. Flying tomorrow from LHR-to Perth, just been stung £46 plus for excess mileage-told that the terms and conditions are clear on the Manage your booking section of the website-and March 1st is not mentioned. Might well be the last time I fly with Qantas-this is not the only unsatisfactory feature of a trip I booked in April last year. Comment on "Qantas trims chauffeur drive service on London flights"